Hello, well, I actually watched this one a few years back but only found out recently that I didn’t write on this one. 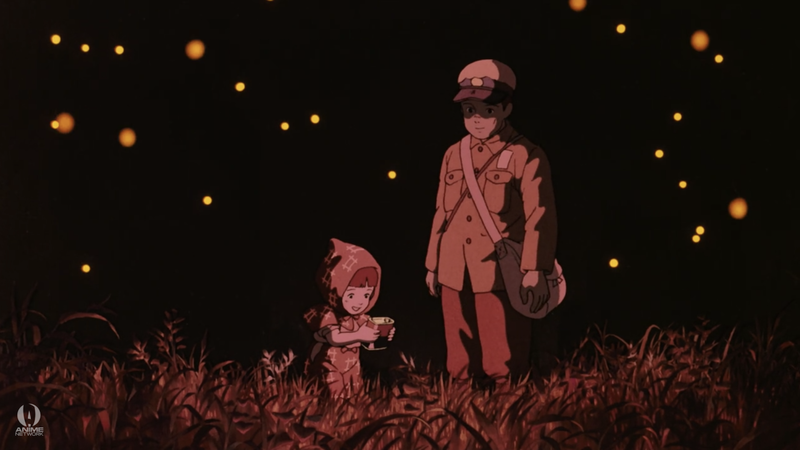 A 89min film with Ghibli style of writing a touching story of a pair of siblings during the final months of WW2. This movie really got me good. As a history lover, this movie has me glued to my seat after 20mins in. I really love how this story has bitter sweet moments, even during times of despair. The introduction did give some slight spoilers, but it doesn’t really affect the impact of the storytelling. The story is short in nature, so 89 minutes isn’t really a thing to complain about. The pacing may be slow, but it doesn’t bore people down with the story. The heartwarming story will constantly keep your attention, even for me, a person with short attention span, has no issues keeping up with the slow story. After all the heartwarming intro and mid-story, eventually the buildup comes to lead to a devastation climax. The story did break me with the sudden plot twist. I was blown away by the climax, I wasn’t expecting such an outcome. The ending was pretty cold, but it was a great one. But in that cold wrapup, there is a form of warmth somewhere. I really wish there are more of such stories, it’s a great way to teach modern people that we shouldn’t take things for granted. This movie isn’t directed by the Miyazaki Hayao, but Takahata Isao did an excellent job in directing this one. Well, its Studio Ghibli, what can you say? The beauty of cel animations really shows here, watching this movie on Bluray is really a great way to watch this one. The animations were flawless, character designs are standard Ghibli stuff. Colors look vibrant, despite the dark and gloomy setting of the story. It’s a work ahead of its time, a 1988 movie looking this good is seriously a big feat. The music here is wonderfully composed. There isn’t much music playing, most of the time it’s silent, even during times when there is no dialogue. The cast is pretty simple, Tatsumi Tsutomu, Shiraishi Ayano, Shinohara Yoshiko, Yamaguchi Akemi. The two main cast had their chemistry worked out nicely, boosting the story’s despairing nature. Highly recommended. Most Ghibli fans doesn’t really know that this movie exists because it was overshadowed heavily by Totoro. But since you guys know now, its time for you to sit down, relax and grab some tissue. So yeah, that’s it for me today. Nanoha Detonation tomorrow afternoon so I will be taking tomorrow off, I will write on Monday instead. I will see you guys then! I hadn’t heard of this one. Guess I’ll have to check it out sometime.